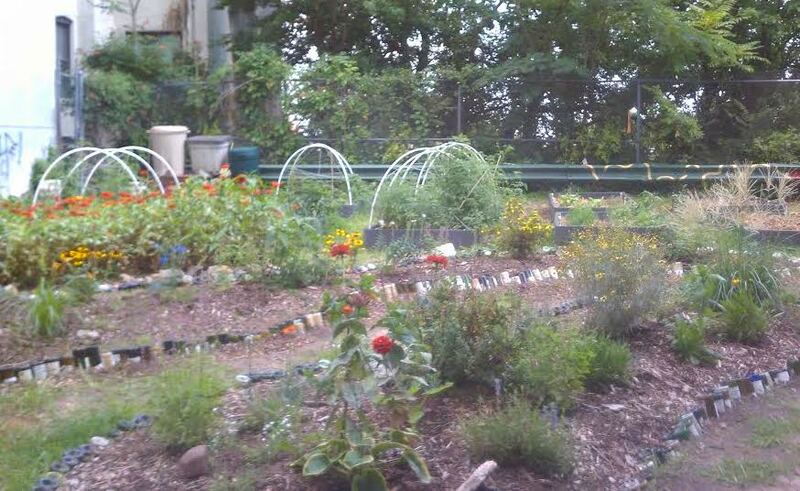 Ogden’s End Community Garden is located at the southern end of Ogden Avenue, near the corner of Cuneo Place and across from Janet Moore Park in Jersey City Heights. It was founded in 2012, when the Riverview Neighborhood Association, Farms in the Heights, and the Riverview Community Garden teamed up to adopt this empty lot through Jersey City’s Adopt-a-Lot program and began planning to transform it into a garden space. Over the past year, volunteers have transformed this location from an overgrown, garbage-filled lot into a clean garden layout with raised beds and other planting areas. RNA and FITH are now the joint lease-holders on the lot, and work on the garden will continue this spring and summer! Over the coming weeks and months, there will be exciting information about fundraisers, volunteer hours, and other ways, big and small, to be a part of this neighborhood project—so visit the Ogden’s End’s Facebook page for more information and to get involved today!